If I could only tell you how much I love this jumpsuit! This is nothing more than comfort and feeling chic at the same time. I fell in love with the stripes and with the fabric. To add more character and a pop of color to the outfit I added this beautiful vest, some camel sandals which I'm obsessing with lately and kept it simple with the bag and the rest of the accessories since I wanted to keep the jumpsuit as the statement of the look. 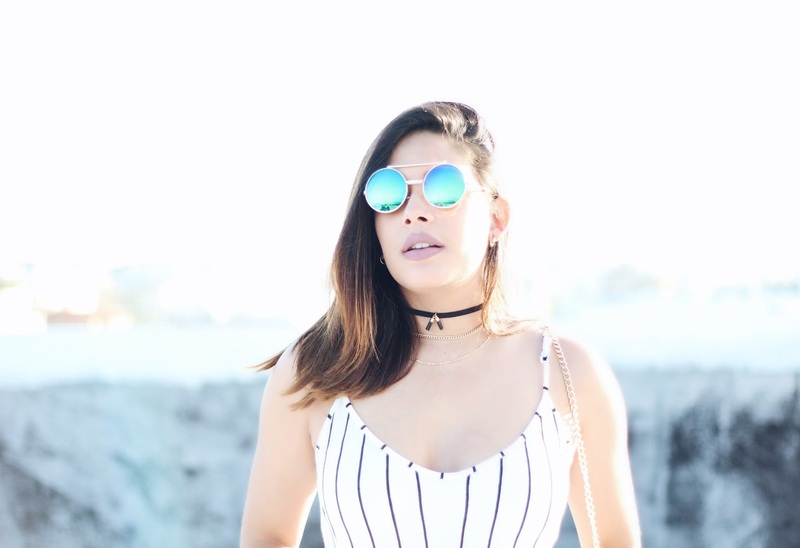 Si tan solo pudiese explicarles lo mucho que me encanta este jumpsuit! Esto no es más que comodidad y sentirse chic al mismo tiempo. Me enamoré de las rayas y de la tela de esta pieza. 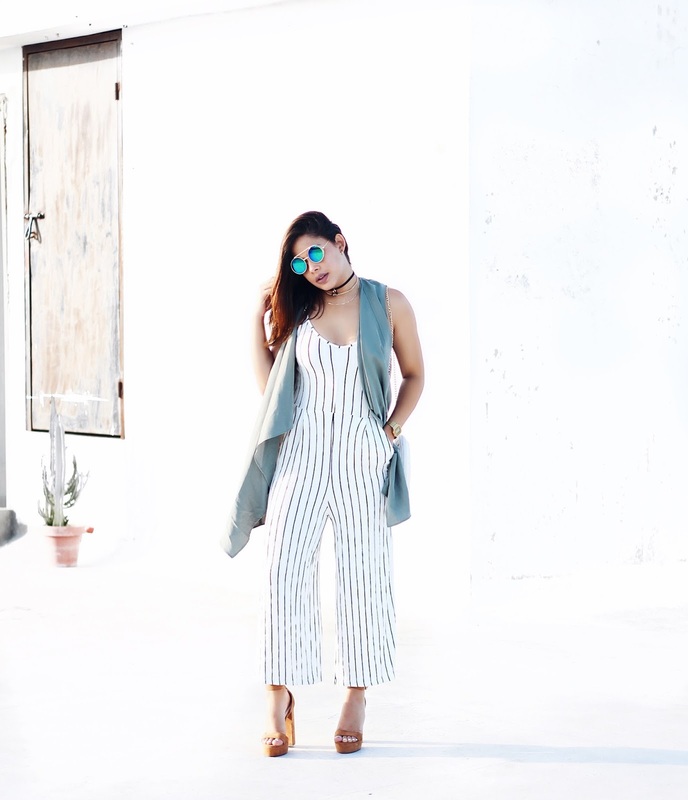 Para agregarle más carácter y un poco de color al outfit lo combiné con este vest, unas sandalias camel de las que he estado obsesionada últimamente y para mantener el resto del look sencillo, mantuve los colores neutrales con el clutch y los demás accesorios ya que quería que la pieza principal fuese el jumpsuit. Beautiful outfit! 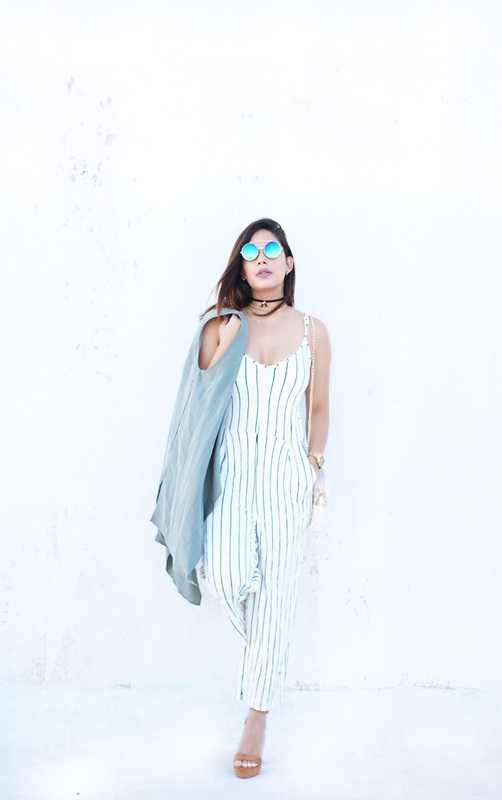 I love jumpsuits...they really are perfect for the summer. This jumpsuit makes you look even taller. Love the complete outfit! oh my gosh. this looks perfectly on you. I want a striped jumpsuit as well, but I'm scared of looking fat in stripes. stripes are just for thin girls. Thank you!! Couldn't agree more!! I realized that as well!! That's awesome specially because I'm tiny!! Es normal que te guste ese jumpsuit porque es precioso ♥. Además el estampado a rayas siempre va a ser trendy.